We got the chance to speak with Anupama Chopra, Festival Director, 17th Jio MAMI Mumbai Film Festival With Star India about why these movies and the festival is important, which movies you should watch out for and how they dealt with some of the issues that happened during last year’s festival. The Jio MAMI Mumbai Film Festival is an inclusive movie feast. We showcase the latest cutting-edge, independent cinema – art house fare alongside genre movies from Bollywood and Hollywood and cult international movies. We offer the best of world cinema to the people of Mumbai and we offer the best of Indian cinema to the world. 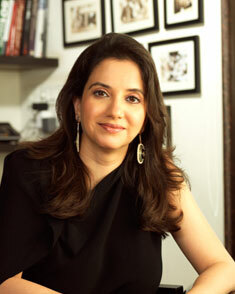 The festival is run by the Mumbai Academy of Moving Image popularly known as MAMI. This is a space where we revel in the sheer pleasure of cinema, the joy it gives us and how much it enhances our lives. The goal is to nurture and ignite a passion for movies. We want Jio MAMI to be shorthand for excellence in cinema. Mumbai – the financial capital of India is also the epicentre of the Indian film industry. The city plays such a major role in production and dissemination of Indian films and television programmes that it is widely known by its acronym ‘Bollywood’. In 1997, a group of film industry stalwarts headed by late Hrishikesh Mukherjee founded the Mumbai Academy of Moving Image (MAMI) as a not-for-profit Trust. Their main objective was to organise an annual International Film Festival which the film industry and the country could be proud of. MAMI has been organising the festival for the last 16 years and aims to foster a climate of good cinema. MAMI engages people from all walks of life across the city and country who enjoy and love good cinema. It is Mumbai’s only film festival that is entirely created and run by film professionals and a group of members from corporate India. Appreciation of good cinema, stripped off all the limiting labels of art and commercial, can only come about through exposure to the best of films the world has to offer. The Festival is the first step in that direction.